You’ve heard the term “boar’s hair” before in your quest for a quality grooming brush. In fact, boar’s hair has been used in brush manufacturing for decades. The unmatched quality and performance of boar’s hair is actually not a total coincidence. Lucky for us, all the benefits that come with brushing the hair on your head actually pertain to brushing your beard as well! Many beardsmen are set in their ways with choosing combs over a brush. 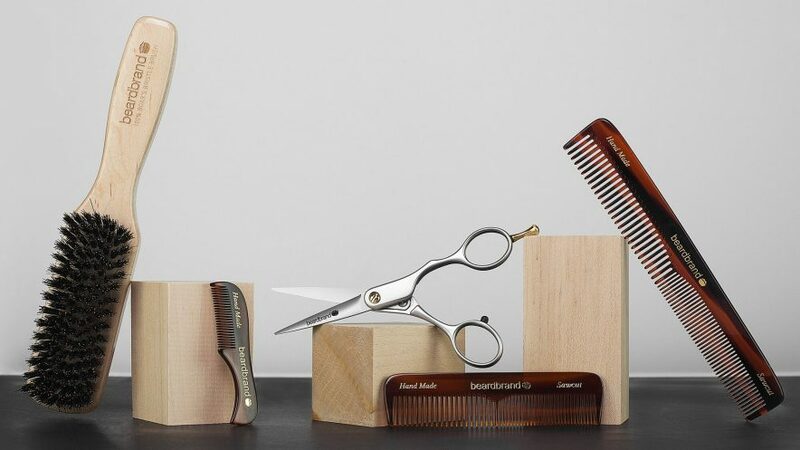 Combs do an excellent job of de-tangling and training your beard hair. However, after learning about the health benefits of using a boar bristle brush, you might consider throwing both into your daily grooming routine. So why exactly is boar’s hair so much better than a simple, synthetic nylon bristles? The science is in the texture. According to Anthony Morrocco, boar’s hair is actually quite similar to human hair. With the same qualities of the hair growing out of our own heads and faces, boar’s hair works through our hair and scalps without aggravating the skin or the hair follicles. The benefits brushing your hair, and in this instance your beard, regularly are proven time and time again. For starters, brushing regularly increases the blood flow to your hair follicles. More blood flow promotes healthy, and even sometimes faster growth. This doesn’t mean that after a few brushes your beard will go from patchy to bearded glory, but it will stimulate the follicles. Next up, brushing you beard with a boar’s hair brush can help break up any debris that get’s caught in your beard and on your skin. This is also beneficial if you regularly use styling products in your beard or hair. Believe it or not, a stiffer brush can actually help unclog pores if used often enough. This can help combat ingrown hairs that are often found throughout a beard.